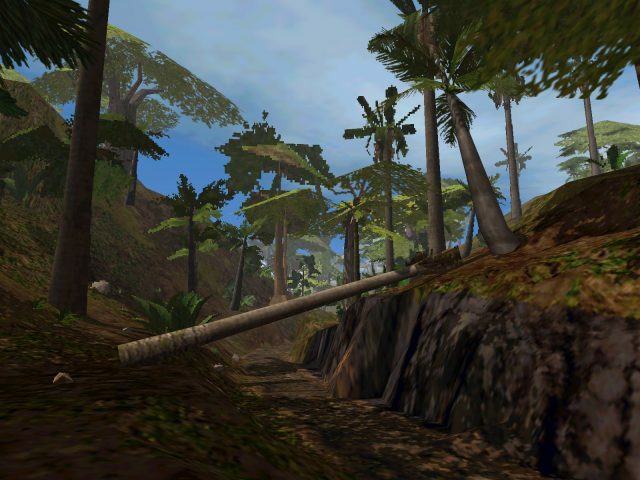 The computer game Trespasser takes place on a remote island, Isla Sorna. It is based on the Jurassic Park motion pictures and takes place after the incidents of “The Lost World”, the second Jurassic Park movie. The island is property of a company named InGen which did research on recreating artificial dinosaurs and eventually succeeded. However they failed on keeping the dinosaurs under control and had to leave the island behind. The dinosaurs were then able to roam freely. An amazing game. It has its faults, and the game does have a bad image. But find ways around the problems and accept its idiosyncrasies, it’s a truly amazing game everyone should play. This was the first video game i ever played, i was eight years old and i could barely beat the first level, now, it’s the only game i want to play… why must there be no reissue? !